We are building Pouncer to save lives. 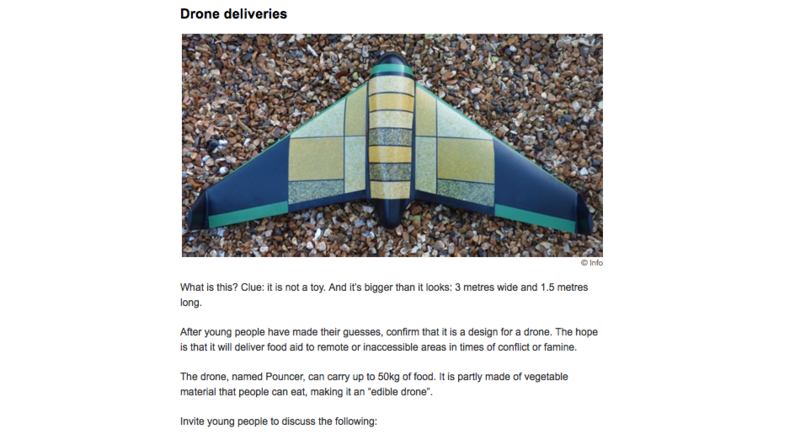 Whilst we're grabbing the attention of the global media as the first 'edible drone' and making waves with quips about how salami has good tensile strength (it does but the remark was a tonge-in-cheek matter of fact comment as opposed to a statement of intent) we're never losing sight of the main aim - making a business that saves lives. We're in contact with as many aid agencies as we can to get an understanding of their concerns and needs so we can really deliver a sustainable framework that can pack, launch, deliver and save lives whenever and wherever needed. You can't predict natural disasters so you have to have readiness level that's acceptable as well as an understanding of the aid that's needed (different food stuffs, medicine, water etc) all of which we're very busy getting planned. The versatility of Pouncer means it can be used as a first responder for natural or man made disaster relief all the way to restocking forward supplies for expeditions and services. With all this in mind, we're very pleased to have been mentioned in the British Red Cross website under their education and teaching section for 'Fires, Quakes and Drones'. This section is used for discussing those highlighted topics with kids and opening the discussion up for them to talk about the project. We can think of nothing better than us being used as a teaching aid!